The Water Lotus is among the most popular pond plants in the world. They are revered in Asia in particular because they are represent fortune in the Buddhist religion. Since this plant grows in muddy water and eventually rises and blooms beautiful flowers, it has come to symbolize enlightenment in Buddhism. The water lotus is related to the water lily and it is easy to spot the similarities. However, this plant is larger and can overwhelm smaller ponds due to the size of its leaves and flowers. Being a perennial, they enjoy warm weather and plenty of sunlight which helps their flowers bloom in vibrant colors and fill the air with delightful fragrances. 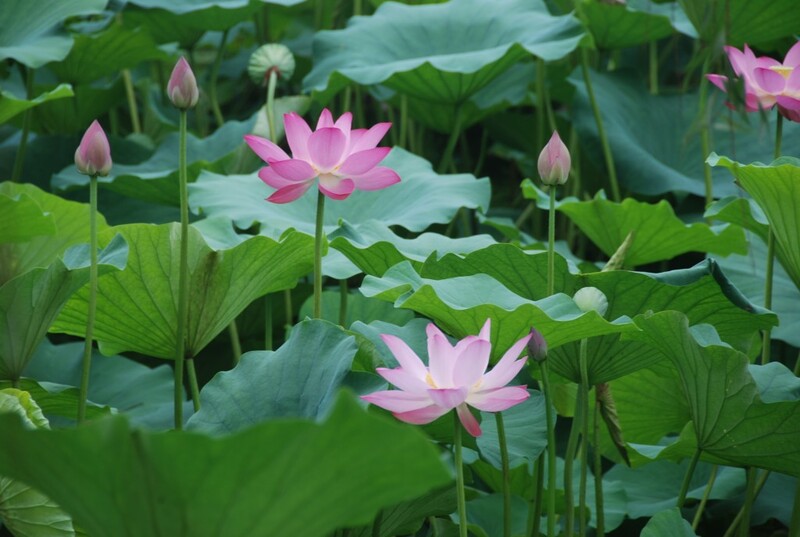 There are two species of water lotus in the world. The Nelumbo Nucifera, which is native to Asia and the Middle East and the Nelumbo Lutea, which originates from the Americas. There are many varieties to this plant, from dwarf lotuses that grow up to 12 inches in height to the larger ones that can grow up to 5 feet in height. Their leaves are round and can grow from 18 to 36 inches in diameters, with flowers sometimes reaching 12 inches in diameter. The ideal temperature range for the water lotus is 75 to 87 degrees but one thing to keep in mind is that this plant enjoys dry conditions and not humidity. Also, they need at least 5-6 hours of daily sunlight to thrive and bloom during summer to autumn. So regions in North America that have more cloudy conditions are not ideal for this plant. Below is a video of different blooming water lilies.